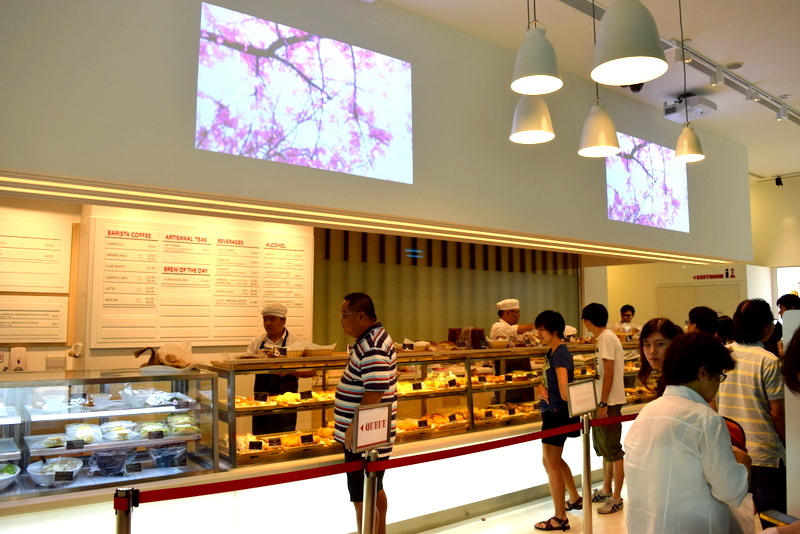 Asanoya Bakery – Superb Japanese bakery sets foot in Singapore! – Simply foodolicious! おいしい! 好吃! 맛있는! délicieux! delicioso! 好食! 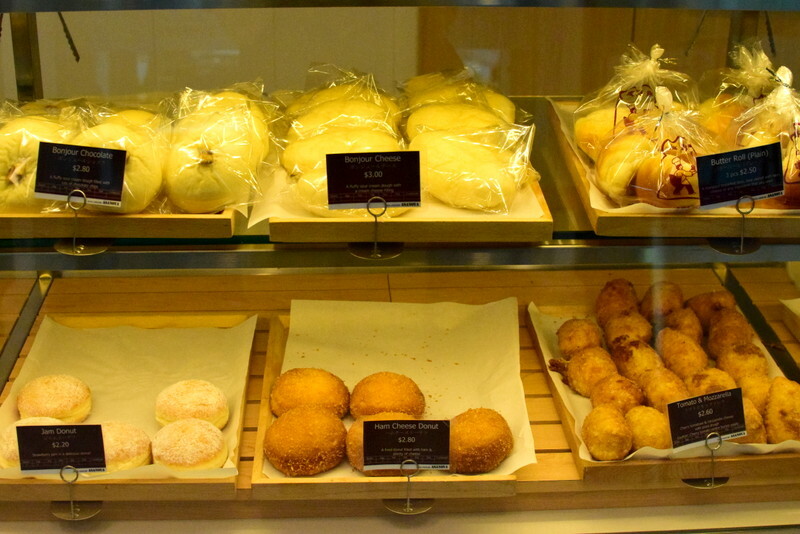 Asanoya Bakery – Superb Japanese bakery sets foot in Singapore! 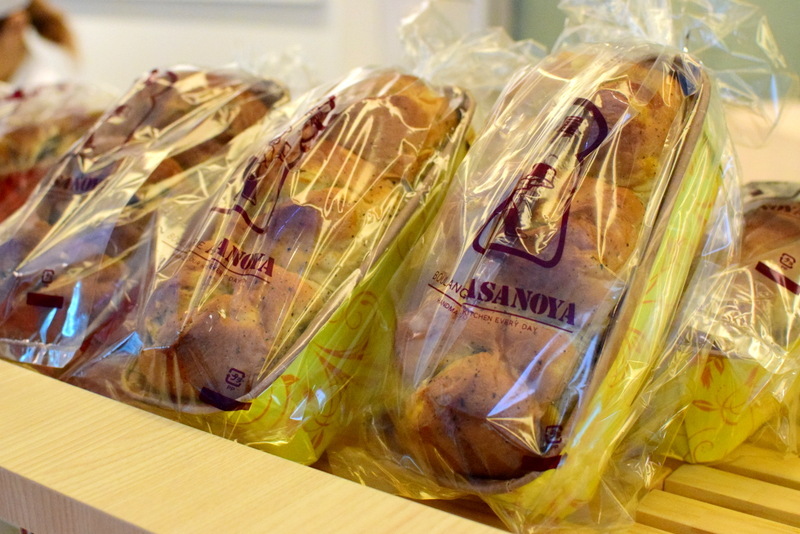 After Henri Charpentier and Delicius Pasticceria, now comes Asanoya which originated from Karuizawa Japan. 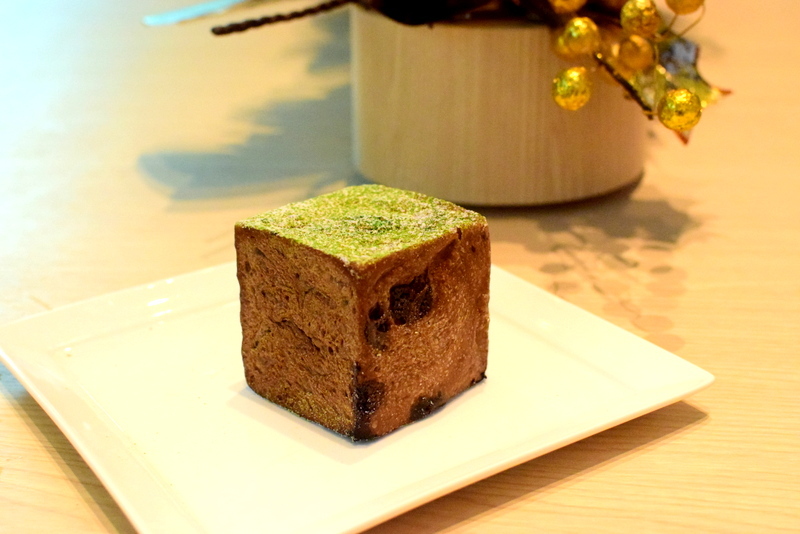 It’s really exhilarating to know that more and more of such Japanese Artisan Patisserie or bakery are springing up in this small town of ours! Keep it going please as anything Japanese-French would most of the time be perfect. 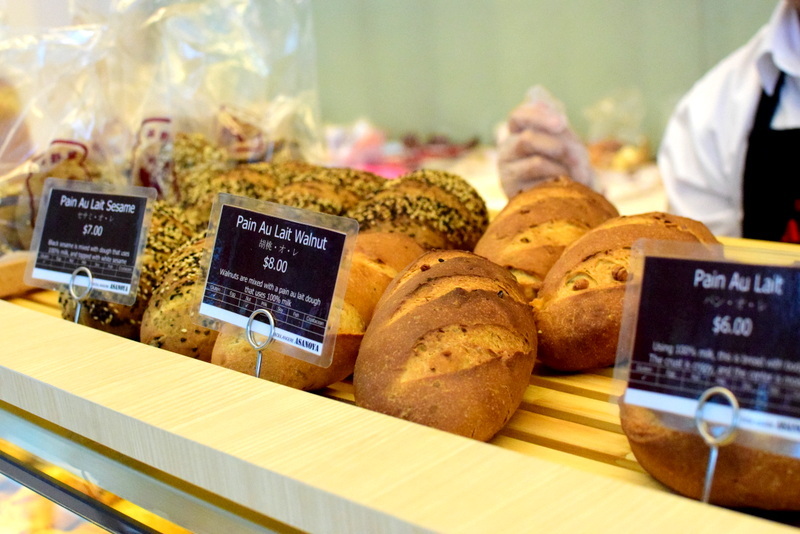 Upon stepping into this car showroom-turn-bakery, you get a really spacious dining cafe and a huge selection of bread, pastries and savouries and of course a huge open kitchen for you to marvel at while munching away on your delicious pastry. 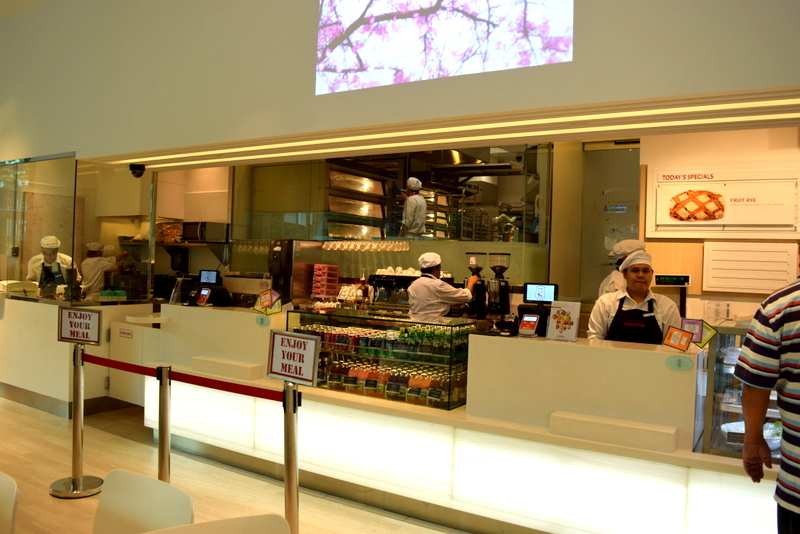 The open kitchen with their huge ovens. As usual, we were surrounded by Japanese expatriates. They indeed are very supportive of their home brand. 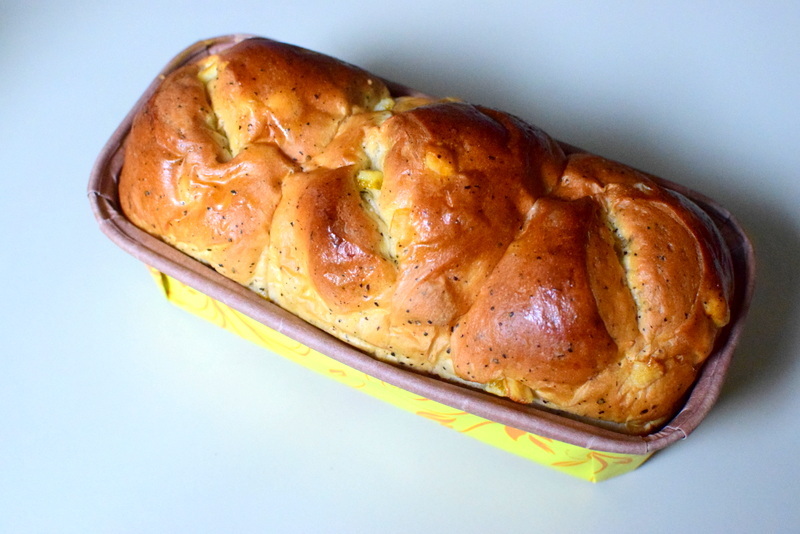 Lets take a closer look at some of the interesting bread. Encapsulated in this Potato French is a potato and mayonnaise on top of it was delicious as there seems to be a slight hint of bacon fragrance in it. 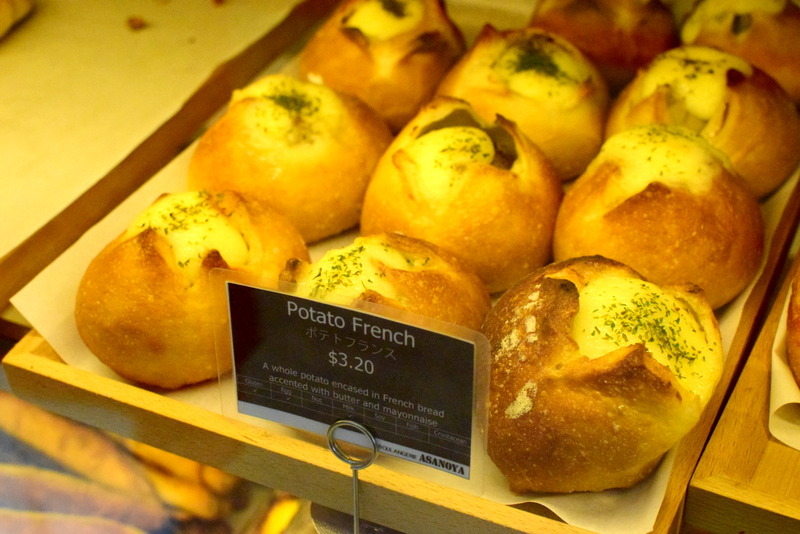 It somehow reminds me of the Jacket potatoes that I have occasionally during lunch in London. 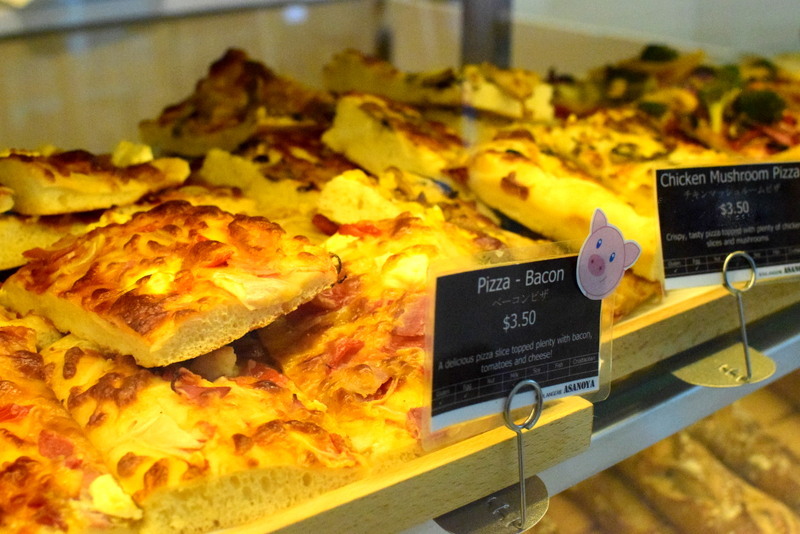 Some savoury pizza to satisfy the less sweet tooth. 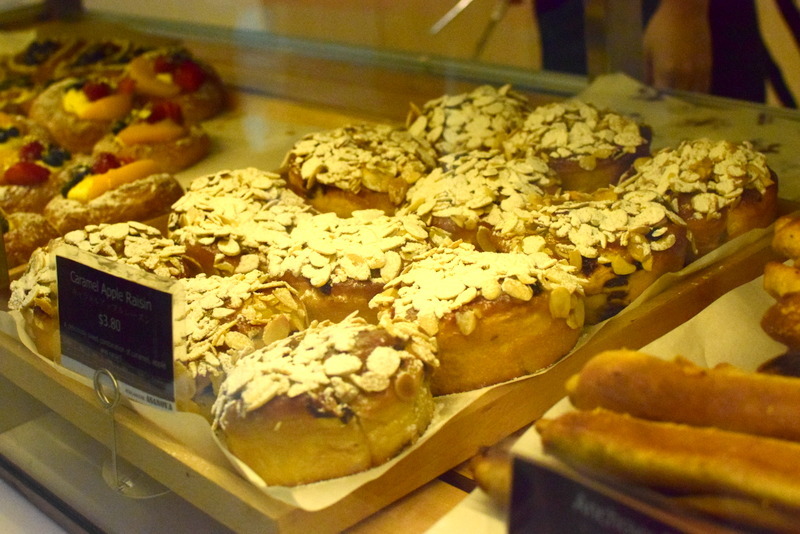 Very reasonably priced almond pastries. 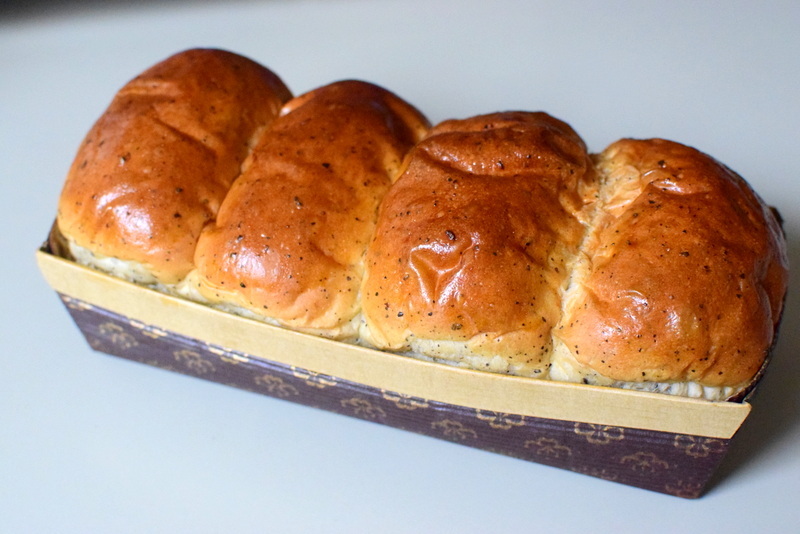 Earl Grey Bread that is super fluffy! Indeed a must try! So lets take a look at the things S and I had. French Potato and the Blueberry Cake which is filled with blueberry jam and cream cheese. Delicious! 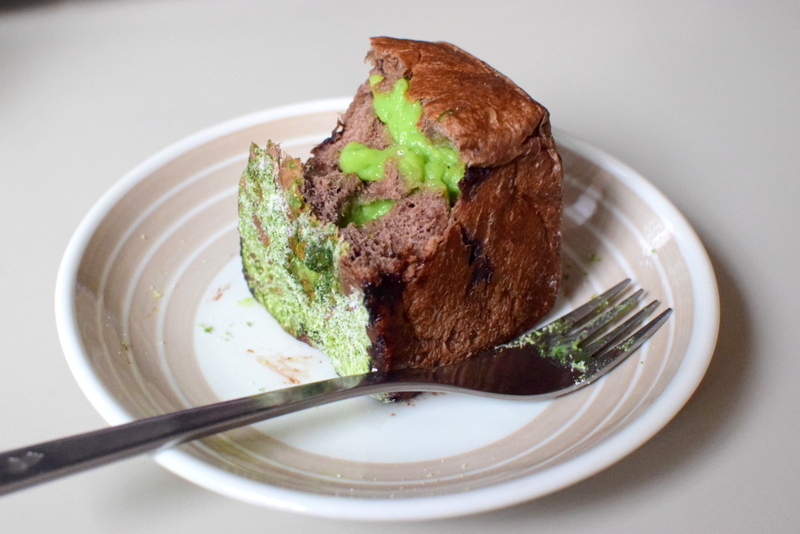 This Green tea Chocolate cake was oozing with green tea goodness when you cut the fluffy bun open. 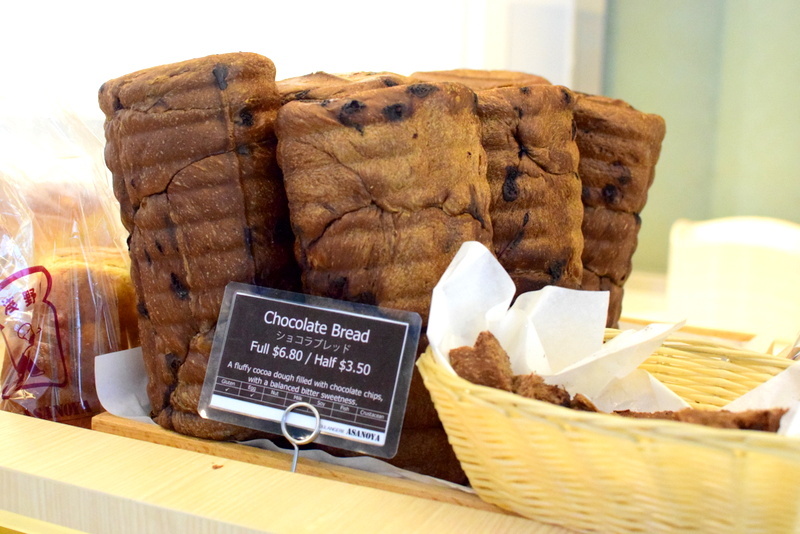 Not too sweet and cloying, it makes a perfect dessert! 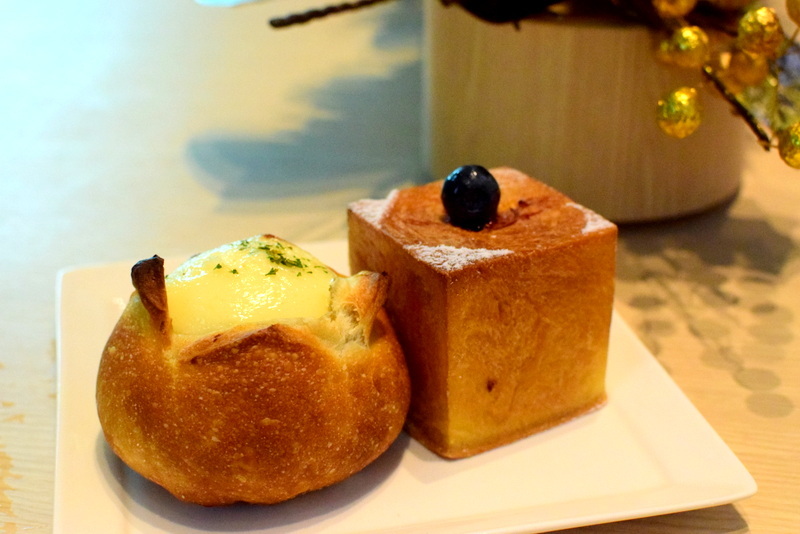 Such squarish buns are reminiscent of what I had at Bakery and Table at MottoHakone at the start of the year; the only biggest difference – I get to have my buns with a view of a never-ending tranquil lake that has Mount Fuji in the background. Sounds really zen doesn’t it. And that’s the tantalising fluffy Earl Grey bun that tasted light but therapeutically fragrant! And the Orange Tea Bun has refreshing orange bits in it. Well, to put it simply I am in love with this Japanese confectionary in every way. If you are tired of the squeezy, inevitable elbow-knocking hipster cafes and yearn for one that is simple, spacious yet still modern to relax in, then look no further as Asanoya has all the answers for you! Immerse yourself in Asanoya and discover the zen-ness within you!